There seems to be this idea in the media that having Asperger’s makes you super smart or some kind of savant. And while it may be true that sometimes those with Asperger’s do end up being severely talented, Asperger’s or higher functioning Autism can also be hard to live with. It might not look like it from the outside, but it is. Granted, my own degree of Autism is not lower functioning. But as another woman with Autism once said, high functioning is not fine functioning. On my worst days, I can end up just as catatonic and selectively mute as the next kid with Autism. All high functioning really means is that I am capable, often through sheer force of will, of pushing it all back and somehow making it look like I am normal. At the end of the day, that may actually be more of a curse than a blessing because people do not seem to believe that underneath the facade of normal is a girl who sometimes feels like she is drowning. This is the part where many of my friends would hurry to remind me that “normal” is not necessarily a real concept. And I would agree with them. 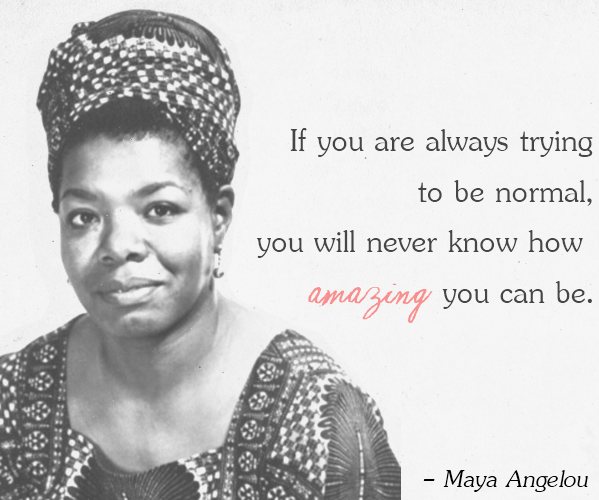 Considering how diverse humanity is, none of us is truly “normal.” But even so, there does seem to be some sort of universal bar out there, a bar that I often struggle to reach. I should clarify here that this is not an excuse on my part, nor is it some sort of bid for sympathy. It is simply an explanation of what exactly goes on inside my head in the hope that sharing my own experience will bring understanding. My brain is not simply wired differently. It is on a completely different system. One that seems entirely incompatible with that of the majority of mankind. And yet somehow I have to make it so. I have to retrain my mind, have to bite back all my own impulses, have to somehow “fix” myself so that I match what the world wants me to be. Because anything less is simply unacceptable. So I work at it day after day, trying again and again to somehow alter each and every aspect that makes up my wiring system. I try to rewire myself into normal. I fail, of course. I cannot rewire my very essence. But I keep trying because I live in this world, and if I want to survive, then I must play by the rules. In my quest to fit in with society, I pick apart every action, every word and weigh it against all of the rules I have been taught. Am I walking too quickly? Is my face showing too little emotion or too much? Does anyone else see my fingers tapping against my leg? Do my clothes look acceptable enough? Is my behavior appropriate for this setting or does it turn on a blinking sign above my head that says “I have Autism”? Should I have said that last sentence better or louder or sooner or later or should I have just shut my mouth and stayed silent? Every single action is dissected and analyzed over and over until I am certain that I have failed yet again at successfully blending in. I try to fit in. I really do. I cram myself into a painful box, locking away my thoughts and dreams and trying to say all the right things and behave in all the right ways. As if by trying hard enough I will be able to transform myself into this magical state of normal. But I never quite fit, never quite manage the charade. So I try harder. I try so hard that sometimes I lose myself. On the outside, it may appear to work. I smile at all the right times and say all the right things. I may come off as a little odd, but for the most part the world accepts the act. But inside I know that it is exactly that – an act. The never-ending cycle of hiding myself, of pretending I am not little by little crumbling away to dust. I hate it. I hate that I camouflage so effectively that no one sees how hard it is or how much energy it takes. That I can fake normal so well on the good days that people expect it from me all the time. Instead of seeing my struggle, the world sees a normal girl dragging her feet, turning molehills into mountains and hiding behind a label that does not even seem to apply. Using it as an excuse. Because is that not really all this is? Just an excuse so I do not have to interact, do not have to do things I do not want to? They do not see it, any of it. They do not see my mental wheels spinning as I carefully craft each reply to match what I think I am expected to say. They do not see me collapsing on my bed because going out for dinner with friends took more energy than I had to give. They do not see the projector of my mind replaying back every single moment of my day as I try to determine whether or not my behavior met the expected social requirements. Whether or not I successfully passed myself off as normal. This may all seem a tad too dramatic, and maybe it is. The truth is that I am perfectly capable of carrying on a conversation. I can order food at a restaurant and go shopping for new shoes. I can hang out with friends in a public place. To the outsider, I probably look perfectly normal. But it takes effort. So much so that I sometimes worry I will burn out completely. And while I understand the necessity of behaving in a manner befitting a functioning member of society, there are often times I wish it was not so expected of me. As I said before, many people with Autism can be extremely smart or gifted. But even if they do not turn out to be the next Einstein or Mozart, those with Autism still have a great deal to offer society. 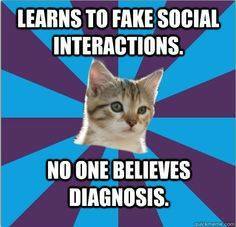 I have noticed that those with Autism tend to be far more honest. Sometimes this comes off as rude because they have no problem telling you that yes, those jeans do make you look fat. But personally, I think this world could use a bit more honesty. People with Autism also seem to be far less judgmental. They accept people as they are and move on. They also feel things deeply. This includes empathy. They feel for those around them, and this can drive them to confront injustice head-on. When they are happy, they are really and truly happy. So happy, in fact, that their enthusiasm can be catching. And that is only the tip of the iceberg. Despite the fact that Autism is often viewed as a disability, I think those who live with it actually bring a great deal to the table. How many of those gifts are lost when we attempt to squash ourselves into the box of normal? To be fair, I do think we need to be able to hold a conversation or know how to order our own food. There are certain skills we simply have to have if we want to live in this world. But that does not mean we should be forced to constantly pretend that we are something we are not. Who cares if we choose not to make eye contact during conversations? If a pair of shoes pinched your feet, you would take them off. So why do we force kids who are extremely uncomfortable with eye contact to endure more stress than they already do? By forcing those who live with Autism to behave as if they do not, all society is really doing is making itself more comfortable at their expense. At the end of the day, normal is not real. 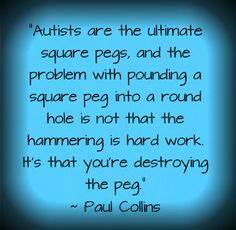 So please stop trying to force people with Autism to fit into this imaginary category. If we need to learn certain skills to interact with the rest of the world, that is perfectly fine. But how much is society missing out on because people with Autism are biting back their natural instincts in an effort to fit in? Why should we have to change who we are just because it seems odd to everyone else? Maybe it should be the other way around. Maybe the world should be trying to be more like us. At the very least, maybe we could meet each other in the middle. That way we can all learn from each other. And who knows? It might make us all better people. For more thoughts on this topic, check out this blog post by another adult with Asperger’s. And just for fun, here’s a song whose lyrics fall in a similar vein. A young twenty-something just trying to navigate her way through life. This entry was posted in Asperger's, Autism, Social interaction and tagged Asperger's, Aspie, Autism, fitting in, misfit, social interaction. Bookmark the permalink.